Situated at an elevation, 2.5 km away from the city of Puerto Rico, the SunConnect Mirador Del Atlantico is an aparthotel that caters to couples, groups, solo travellers and families alike. With its laid-back atmosphere, guests can find themselves in a retreat that offers studio accommodations with tempting views of the beach. The hotel is near Amadores beach at a distance of 400 meters and is easily accessible by local bus service from all major cities of Puerto Rico. The hotel rooms come with sofa beds, kitchenettes, microwaves, coffee makers, private terraces, balconies and en-suite bathrooms. 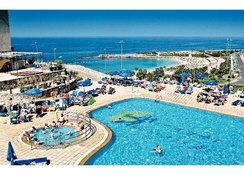 An outdoor swimming pool, children’s pool, loungers, buffet restaurants, poolside bars, pool tables and live evening shows. 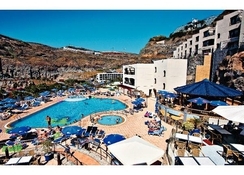 Nearest airport, the Gran Canaria Airport, is situated at a distance of nearly 53 km from the hotel. 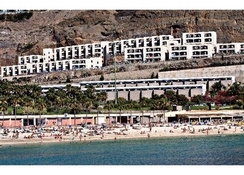 SunConnect Mirador Del Atlantico Aparthotel is 400 metres from Amadores beach. The city centre of Puerto Rico is just 2.5 km from the hotel and 500 metres of its neighbourhood teeming with shops and cafes. Accommodation at SunConnect Mirador Del Atlantico is divided into 3 categories - One Bedroom Apartments, Two Bedroom Apartments and Studios. These apartments feature twin bedrooms with sofa beds, an extra bed in the living area, kitchenettes, en-suite bathrooms with shower, and a private balcony. The Studio Apartments offer double beds and private terraces. 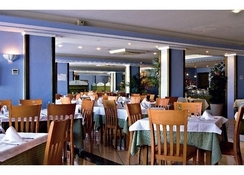 The hotel has got an on-site buffet restaurant that offers breakfast, lunch and dinner. There is a poolside bar that serves a diverse range of fusion drinks. The Lounge Bar specializes in sizzling mocktails. The hotel also throws Christmas and New Year’s Eve Gala meals. 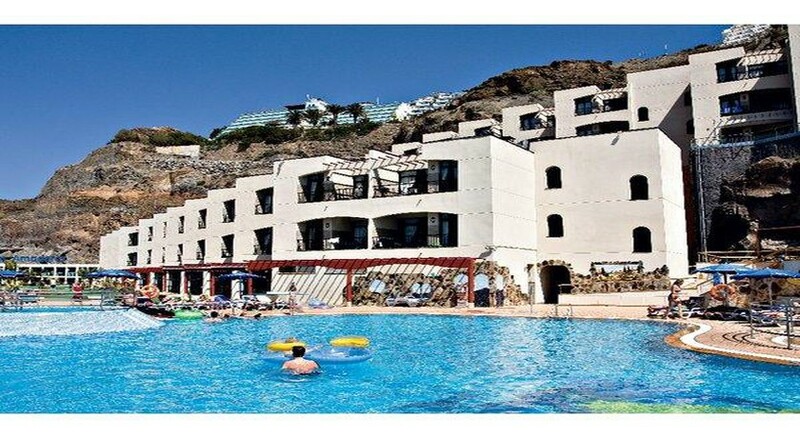 The hotel has an outdoor swimming pool, a whirlpool and a kid’s pool, all of which come with sun terraces, parasols and sun loungers. The hotel also arranges for water polo, aerobics and has got a fitness room for the guests who would want to maintain their fitness routine while on the go. Young guests get to have a separate playground as well.